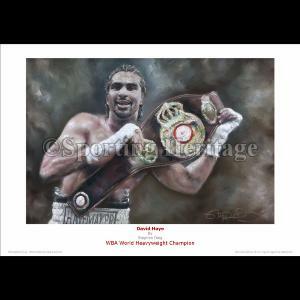 A fine art print from an original by esteemed sports artist, Stephen Doig. 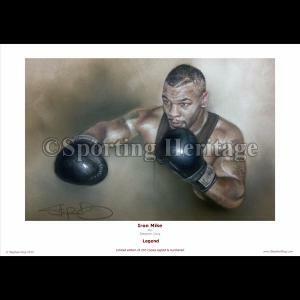 Printed in A3 format, measuring 11.69'' x 16.53'' (29.7 x 42 cms). 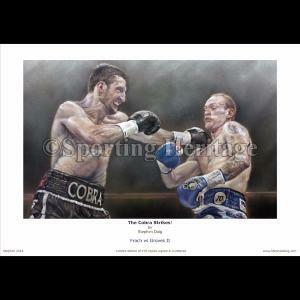 Available in a Limited Edition of just 295 prints. 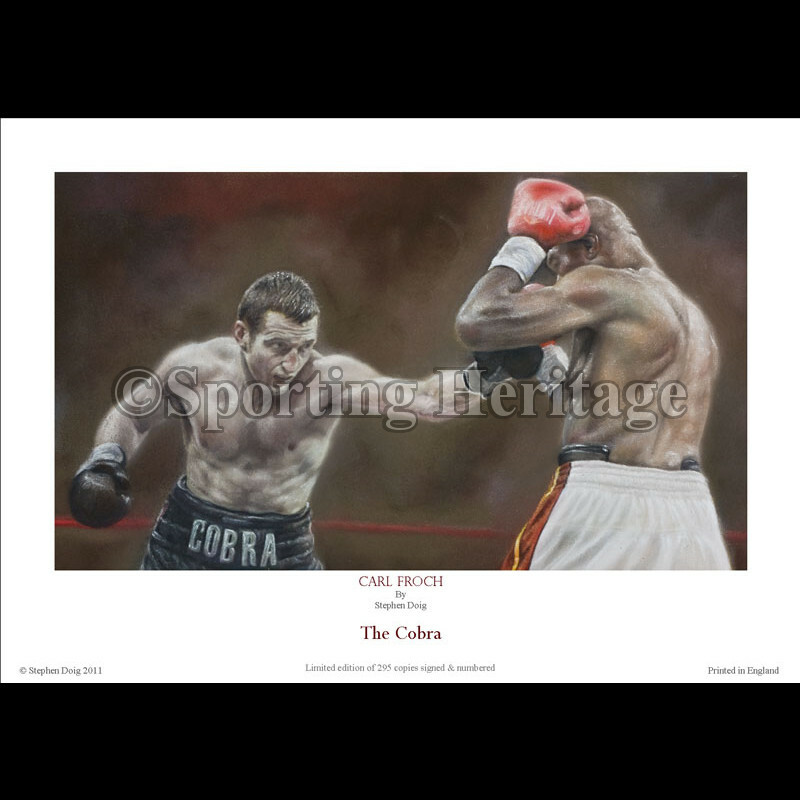 Froch vs Groves II - The Cobra Strikes!